Within the framework of BMZ's develoPPP project (2012-2014) Sunset-Energietechnik GmbH established a photovoltaic competence centre in the national institution of education SENA („Servicio Nacional de Aprendizaje“) in Colombia. The centre is used for aprenticeships and advanced trainings of experts. It also acts as a centre of research and demonstration for Columbian policy makers in the energy sector thereby helping harnessing solar energy whichi abundant in Colombia. Colombia is currently unable to meet its rapidly growing demand for energy, particularly in rural areas. And yet the country has considerable and hitherto unused potential in alternative energy sources – including solar energy. As part of a development partnership with Sequa gmbH, SUNSET Energietechnik GmbH is carrying out pioneering work to improve the framework for a solar market in Colombia. Based in Germany, SUNSET specialises in alternative energy technology and has international experience with on-grid and off-grid solar energy systems. SUNSET is building a photovoltaic competence centre at SENA, the national educational institution, as a facility for training local experts. The develoPPP.de project includes the installation of two photovoltaic facilities at SENA, one on-grid plant in Bogotá and an off-grid plant at Puerto Carreño. The partners use the facilities for teaching and research, as well as for training SENA multipliers and decision-makers in the technical and educational aspects of photovoltaics. The multipliers then pass on their know-how to students and professionals in courses at the SENA competence centre. The project also provides valuable data and findings for the nationwide debate on renewable energies. SUNSET and SENA jointly organise events and advise the Colombian Government on how to disseminate knowledge acquired about solar energy. There are around 1,000 people working at the Federal Ministry for Economic Cooperation and Development (BMZ). About 66 per cent of the positions are based at the Ministry's Bonn office, while the others are at the Berlin office. A certain number of staff at the BMZ are regularly seconded from the Ministry for a few years at a time to carry out development policy assignments in various parts of the world. The BMZ does not have the usual substructure of government agencies. For the execution of its projects it commissions what are known as implementing organisation. These organisations then work with executing agencies in the partner country concerned, which are selected by the government of that country. 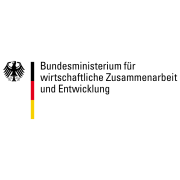 The German government is actively engaged, in close cooperation with the international community, in combating poverty, securing food, establishing peace, freedom, democracy and human rights, shaping globalisation in a socially equitable manner, and preserving the environment and natural resources. Development cooperation is one of the most important instruments for achieving these goals. The German government regards it as an imperative of humanity and of reason. Development cooperation guarantees a future for people in developing countries – and thus for everyone else, too. They are a development organisation operating worldwide. They promote the development of the private sector and its membership organisations as well as education, training and further qualification. Their programmes and projects are being financed by both, public and private funds, and are conform to the principles of a social market economy. sequa is a non-profit company. 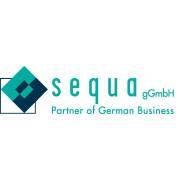 It is Germany‘s top business membership organisations that are sequa‘s shareholders (DIHK, ZDH, BDA, BDI) and GIZ. sequa‘s aim is to improve living and working conditions of as many individuals as possible. They understand that they can only achieve this in cooperation with their partners at home and abroad. Their most important project partners are business membership organisations, vocational training centres and private companies. Efficiency, result-orientation, and quality are important to them. Their team members work assume a high degree of personal responsibility, they are professional and committed to their work. Their internal and external communication is open and clear. Their management style by objectives and by cooperation is characterised by fast decision-making. Their success is due to a team approach. In 90 countries they had a share in the development of the private sector. Their activities have been and are being assisted by the know-how of their shareholders’ network as the German chambers and business associations hold an outstanding position within the German private sector development system. They are assisting various donors in implementing their private sector development programmes such as the German BMZ, GIZ, the World Bank Group, IFC, UNIDO and increasingly the European Commission. Historically, capacity building for BMOs is their core business segment. Their shareholders’ network respresents their direct access to the know-how and network of all German chambers and associations. Over and above, they have been cooperating with chambers and associations in about 90 countries in Asia, Africa, Latin America and Europe and have thus established a far-reaching and resilient contact network around the globe. They are a subsidiary of the Confederation of German Employers' Associations (BDA) and as such having direct access to the know-how and operating experience of industrial associations on sector and regional level. They design and execute consulting projects jointly with their partners targeting to professionalize the social dialogue in developing and transition countries as well as within the European Union. In an international scale, they give advice to decision-makers in the VET sector, they search and place VET experts and they design and execute projects and programmes. They execute their VET projects both within the European Union as well as in developing countries, worldwide. SUNSET Energietechnik GmbH was founded in 1979 with its headquarters located in Adelsdorf, in the district of Erlangen, Germany. Since then, SUNSET has carried out pioneering work on achieving recognition for solar energy as a genuine alternative to conventional energy sources. In the course of this process, SUNSET has evolved into an industry-leading medium-sized business.